These are some photos from Randy and Patty's second trip to Alaska. Which will include images from the Denali National Park, the Denali Highway, the McCarthey Road, and the McCarthy/Kennecot area and surrounding mountains, glaciers, lakes, ponds, and wildlife. 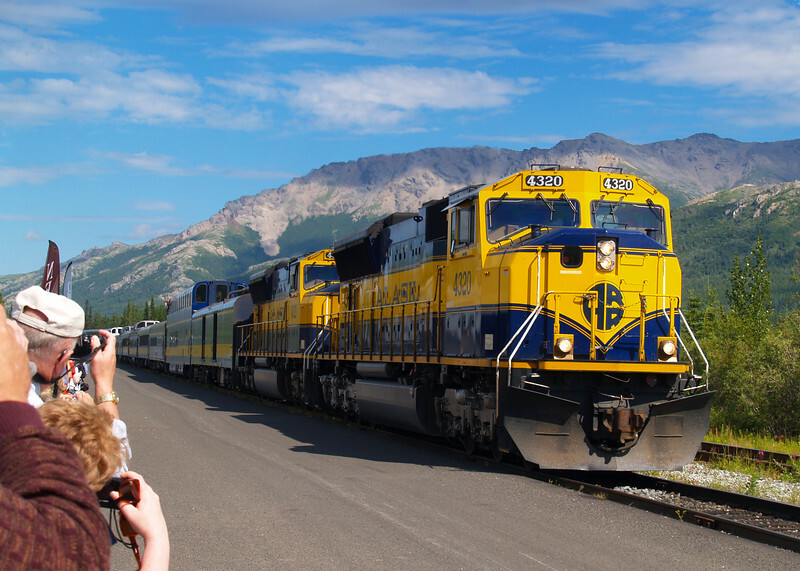 Alaska Railroad pulling into the Denali National Park Depot, with Randy and Patty on board.